Two public figures have revealed that President Edgar Lungu is not the person he says he is and that he stole someone’s identity. The two opposition figures have since revealed that Mr Lungu is infact Jonathan Mutaware, a Malawian. Speaking on Prime TV’s Oxgen of Democracy programme on Monday night, People’s Party President Mike Mulongoti and New Labour Party President Fresher Siwale challenged President Lungu to produce his National Registration Card as a way of proving his true identity. Mr Mulongoti said as a patriotic citizen, it is his responsibility to protect the constitution hence the move he took to write to the Public Protector of Zambia asking the institution to investigate President Lungu’s true identity. He said since he wrote to the Public Protector on March 13th 2018 giving it two weeks to respond to his letter, the institution has not yet responded. Mr Mulongoti observed that there were too many inconsistencies in President Lungu’s life history that prompted him to demand that the Public Protector investigates his true identity. He said in his authorized autobiography, Against All Odds, President Lungu claims to have been born in a then whites only Ndola Central Hospital in 1956 but that on a Prime TV programme, State House Spokesman Amos Chanda claimed that President Lungu was infact born in Kitwe. Mr Mulongoti said there is also no record of his childhood or primary school education or any mention of his immediate family members. He said curiously, President Lungu has never attended a funeral or a wedding of any family member since moving to State House, which he said is bizarre in an African set up. “I started getting curious about the conduct of the man in State House after he unleashed vicious dogs on us who were attending Mr Hichilema’s court cases when he was charging with treason. This country saw of the most vicious dogs at Court buildings and heavily armed police officers. I begun to question myself because naturally Zambians are forgiving people, we might quarrel a lot but we don’t wish anyone dead. So that conduct prompted me to start asking questions that maybe this man could not be one us,” Mr Mulongoti said. The People’s Party leader said he is ready to apologize and face consequences if a public inquiry by the Public Protector proves that President Lungu is indeed a Zambian. Mr Mulongoti added that the Chimwemwe House No. 4001 which President Lungu claims to have grown up from has toilets outside while the House No.4001 appearing in his autobiography shows a House with toilets inside. 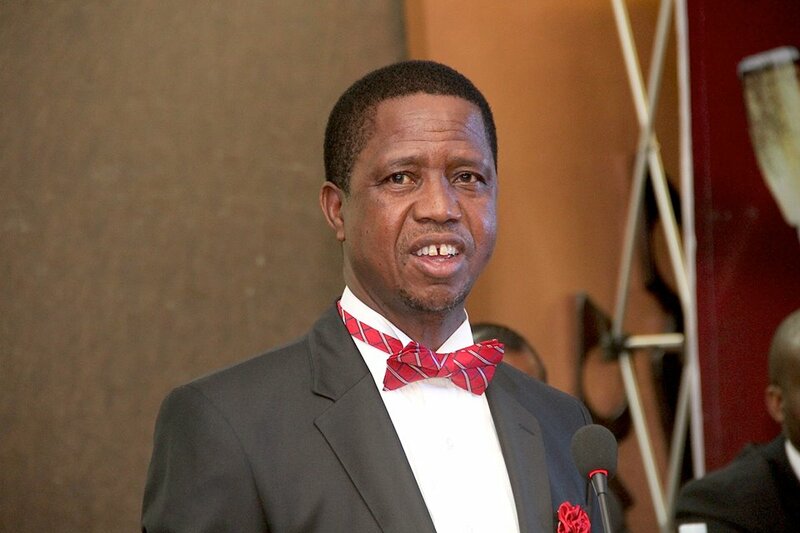 And Mr Siwale has observed that the traditional leaders from Eastern Province who have been paraded claiming that President Lungu is their Son have mentioned that he was born from Eneless Zulu while in his autobiography, it is claimed that President Lungu’s mother was Eliza Tasila Jere. Mr Siwale added that he has evidence to prove that the current Head of State stole the identity of Mr Edgar Chagwa Lungu who was born in Kitwe at House No. 4001, Chimwemwe, the father to Tasila Lungu.